This entry was posted on May 12, 2017 at 5:06 AM and is filed under the bad. You can follow any responses to this entry through the RSS 2.0 feed. Responses are currently closed, but you can trackback from your own site. Still the language mindset. Reality is there is a 400-700 club already which can go to at least 900 CR at all India level. I said last week that it might end around 470 crs but I’m thinking it’ll go past 500 crs now as there are no good movies for long time. #Dangal ends *Week 1* on a PHENOMENAL note… Collects an ASTONISHING $ 29.13 million [₹ 187.42 cr] in China… MIND-BOGGLING! Looks like it’ll cross its India domestic collection. That makes China to be biggest territory to be conquered!! Our film is so low budget, no one would even want to spoof it! So in a desperate bid to grab attention, we have come up with the dumbest marketing idea ever thought of within the whole of Andheri: An Imaandaar trailer. Pathetic start for Sarkar3 and Meri pyari bindu..Dont know why bollywood backs such movies. There is a light at the end of the dark tunnel. It is called tubelight. Salim-saab – aap aaye…..reviews laye……miyan mehfil me jaan aa gayee 🙂 Shukriya janab…..
btw – I watched Dilip – Madhubala’s Tarana recently- and although I am in the minority when I say that DK is the most over-rated actor of Indian Cinema – i could not take my eyes off when both of them were on screen and enacting romantic coochie-cooing….what presence! and what chemistry! Madhubala was not a human being for sure….a fairy…an angel….lost her way to earth and soon realised it though and at 36….pooof! Get ready to tune in! Salman Khan Films and Sony Music India today in a select gathering held a preview of Tubelight’s first song ‘Radio’. Attended by media, partners and radio networks, the event had everyone wanting more of the song and had it played repeatedly. The gathering also saw an exclusive sneak peek of the video and were blown away. ‘Addictive’, ‘Infectious’, ‘Foot-tapping’ and ‘Happy’ were some of the adjectives used by guests to describe the song. Dangal is going haywire today.It looks like a 6M$ day and 7th consecutive 3M$+ day.In previous thread, marcus asked abt ent bo colln discrepency it was coz ent mistakedly mentioned monday collns as 5.4M$ while it was 3.1M$ actually.So,week1 is 27M$ and i think 22-23M$ shld be done in 2nd weekend and 40M$ in second week.Today were less shows abt 34k due to many new releases but all have fared poorly and dangal is doing almost double of next best GOTG2.Due to this,almost 44k shows have been alloted for tommorow and this can go upto 50k shows tommorow plus sat is usually the biggest day in week for collns.it can do abt 9M$ tommorow. btw 1000cr wld be crossed tommorow and someone said next week.please correct and 1100cr wld be crossed by tuesday or wednesday max.I m getting the feedback wom for dangal in china is almost as unanimous as 3Idiots. Tommorow or sunday cld be the biggest day ever and even 10M$ can be done on one of those 2 days. Good to see you with Dangal numbers in China. The projections probably have to be revised upwards, looks like it will get to $125 million..an amazing turn of events for Aamir. Couldn’t have imagined China becoming the biggest market for a Hindi movie! Was that a scarcastic comment or a real one. Which comment you are hinting at? that good to see comment. No sarcasm. Just waiting to hear China business. so Dangal has a chance to do something that has no been done by an indian movie……claim the top weekend spot in a major foreign movie market! Wow. Pretty much a formality it seems. These numbers are as astonishing as BB2 for different reasons. I doubt many would have seen China be the first major country. it wld do it for sure and by a huge margin,likh lo. Aamir in his Baazi attire romancing Salman is a good option. and China is the 2nd biggest market in the world now. This is not like capturing Egypt or Germany. Vin Diesel can make Fast and Furious until he is 80 just by releasing it in China. Guest role will be like cheating. They are used to full fledged roles. Shabana Azmi words after watching Dangal “Dangal 1 baar lag gayi to phir nahi utregi” have proven to be prophetic as it’s going to complete 5 months run since its release in next 10 days & still running as strong as it could in its 5th month!! Baahubali overtaking Dangal in just 14 days is an incredible feat & it deserves all the success & love it’s receiving. It’s all India total is going to be a very tough nut to crack as Hindi movies don’t have the connect to collect even 20% of what Baahubali would do in south India which is a prerequisite to break Baahubali’s all India total. Any movie with big star cast & emotional quotiant could break Baahubali’s record in Hindi in a year or two. Baahubali’s unimaginable success should make Hindi filmmakers to take a pause & fix the lacunae in their approach & making if they ever want to expand their market & optimize the reach of their movies requiring a paradigm change how Hindi movies are conceived & made, until then Baahubalis & The jungle books would keep working as wake up calls for the industry which is pretending to be in deep slumber!! main yahi chap raha tha aur yeh already tune pktalli, yesterday u were saying cooked up things now what.100cr tommorow,damn i don’t believe it.BB2 cld be in trouble now. Sarkar3 has about 7 percent opening in around 1500 screens whereas as MPB has about 12 percent in 750 screens.Is this an answer from Bollywood to Babhubali2? Shame for Bollywood andnothing else. Over reaction!! How and why should Meri Pyari Bindu be an answer to Baahubali 2? Bollywood is becoming easy target after B2 but this takes the cake! India’s A game can hardly be expected to be challenged by Bollywood’s Z game! China record cld stay for ages unless aamir’s another unanimous universally appealing movie comes up.100M$ looks done as forecast for tommorow is 13.2M$.10M$ for sure tommorow.BB2 NA total weekend in china’s 1 day.ATP for dangal in china is 4.6$ while for BB2 in NA is 18$.FF in china have crossed 1 cr. and wld cross 2.5-3cr in a totally non-NRI market,it’s a pure overseas market in the real sense.pktalli i m still awaiting for your aplogies. it has done nothing abroad all r just indian diaspora markets nothing else. 10M in a single day? – good lord – that is 65 cr in a day…..in China…. 92% of the population in China consists of the Han people with the remaining 8% consisting of 55 other nationalities. Through this Wed Baahubali has 17.2m in the US. 5.8M for Dangal today in china….advance alrady has over 2M for tomorrow. Damn…I am out aamirsaurabhing aamirsaurabh! You all were not aware of increadible trending.i had to bring it to your notice.Sat and sunday shld be combined atleast 150cr.Even something like 125M$ in china is not ruled out now.Tommorow almost 55k shows shld be alloted,today were 35k. With the tremendous success of ‘Bahubali: The Conclusion’, south superstar Prabhas is on the seventh heaven. The actor is now gearing up for his next film titled ‘Saaho’. Reports in media state that Bollywood actress Katrina Kaif has been roped in to play the female lead in the film. ‘Saaho’ is a sci-fi thriller film which is directed by Sujeeth and will be released in Tamil, Telugu, Malayalam and Hindi. The film’s trailer which was released recently has also been getting a good response from the audience. A report on a leading website quoted a source informing, “Prabhas and his makers were in search of the leading lady for the film and after the success of ‘Baahubali 2’, they thought of casting a Bollywood heroine. They spoke to Deepika Padukone, Parineeti Chopra, and Amy Jackson but finally, the zeroed on Katrina Kaif because she fit the bill correctly with dates and character requirement. Prabhas is currently vacationing in the US and will be back soon to kick start Saaho and the official announcement will be made soon. Some personal comments have been deleted. Saw Sully – It was an underwhelming movie (it is certainly, not a bad movie, but I expected more drama). May be because there was not much flesh to start with. Some of the domestic conflict seemed forced. Sully – Just liked the ending a bit and the whole water landing sequence and I actually saw this on big screen during its first weekend. 7 films open on Friday in China, but none of them can beat #Dangal . The indian film will rule this weekend with a great number. $23-25MM weekend and possibly minimum $40MM 2nd week. 2nd weekend to be shy of first week, this for a film that was available for all kinds of piracy 5 months ago. With China’s one child policy & preference for a boy, this must be resonating strongly with female audience. 2 films open on Friday in India, but none of them can beat #Baahubali2 . The South Indian film will rule this weekend with a great number. Just back from Sarkar 3 ..Bachchan is in great form and the movie is pretty engaging and intense. I liked it. I would say it’s actually better than the Sarkar Raj. Good to hear.. hopefully will watch over weekend. I liked both part 1 and 2. I likes both as well, Sarkar Raj IMO lost the plot midway. Sarkar 3 has Abhishekh’s portrait but Aishwarya is totally nadarad from the scene !! RGV should have added Ash at least in part 3 and increase the star wattage. Part 2 had nice starcast but he totally killed boxoffice prospects in part 3 by not casting anyone else apart from Big B. Even part 1 had Katrina. @ Master, Do you think that Big B can add any sort of star wattage? If so then you are mistaken like anything.He is no Rajni who can alone run any big budget film on his shoulders. You are more mistaken when comparing Sarkar 3 opening with Baahubali 2 opening and calling it shame for Bollywood!! I have nothing else to add! The expression of helplessness and disappointment when Chiku slaps a person in front of Bachchan , alone is worth the price of the ticket. The Ganesh Arti and subsequent action is very well mounted. Yamini Gautam with very little makeup looks smoking hot !! I went for the evening show with a capacity of about 40, and it was full !! even the front row was sold out. Hi Rocky: Agree. Definitely not as bad as the reviews suggest. Saw this movie yesterday. The plot line was very similar to the first Sarkar. Amitji in top form as always..All the actors have done good job. RGV has handled this far better than is last few movies..The reviewers did not give this fair chance to perform at all..RGV may be very good in keeping the production costs to very low I feel..Not much outdoors, only a few locations and closeups :), and only big expense here is artist fees..Not sure how much was spent on this project and producers may recover the cost due to low production values. $6.14MM for Dangal in China yesterday! It’s doing business simply no one expected. $30MM was likely but it’s raced past that in only 8 days and the 2nd weekend could be as huge as the entire first week at this pace. Yet Boi is not updating! For them it is small fish! ATM it is looking like atleast a 30M$ weekend in china.After week2 it shld be between 75-80M$.Even i was underestimating.i don’t know y ppl were saying 70-75M$ LT.that cld be coz they were not following things with proper data.ATM Dangal is collecting more than 22 other movies running in china today on 22.7% row ratio meaning 22.7% of all shows in china.Week3 wld be earth shattering going by bollywood standards expect min.25M$ in week3 as well.i m expecting 100M$ in china after 3 weeks. Past this figure already today and it’s only afternoon in China. it had 26000 screens in week 1 – which has gone upto 33000 screens in week 2!!! China doesn’t report how many screens , only number of shows and its around 53000 today . It is looking like a 13-15M$ day.8M$ already crossed today. Bollywood actor Vivek Oberoi’s company Karrm Infrastructure Pvt. Ltd. has donated 25 flats to the families of Central Reserve Police Force (CRPF) martyrs in Thane, Maharashtra. Meri Pyaari Bindu had a poor first day collecting around 1.75 crore nett apprx which makes it very tough for the film to do much at the box office. The film was for the youth and should have done better numbers in the big cities at least but when the hero is weak there is always that downside to initial and then it becomes about recovering. A Dum Laga Ke Haisha managed that a few years back from an even lower level but that was a totally content film which was not really targeted at the youth. Here it is a youth film so you really need to start better as the Dum Laga Ke Haisha type of growth is a big ask. Sarkar is a dull affair as it collected 2.25 crore nett apprx on day one. The collections are slightly better than Meri Pyari Bindu but that is because it is double the screens of that film and occupancy practically all over is lower than Meri Pyaari Bindu. To put the opening in perspective is that the opening day of the film is less than half of Sarkar Raj which was 4.97 crore nett and that film is the predecessor to this film and released way back in 2008. That film also did not do too well. Going back to 2005, the first film in this franchise opened at 2.43 crore nett which is also higher unless the Sarkaar 3 final collections come in a little higher. The bottom line is that its not a franchise film and when the first one just about covered costs thanks to Mumbai and South it was best left alone. BOI are wrong on the first Sarkar figures here. I saw the figures with my own eyes given by Taran back then and it was 2cr in Mumbai only and it was practically record-breaking. I also remember it debuted along with some Arjun Rampal starrer and the latter did barely 0.1cr in Mumbai (Taran’s figures). So, as per BOI current figures, I can only deduce Sarkar did 2cr in Mumbai and only 0.43cr in rest of India! You can see how these totals to back then are simply fake and manipulated at will. I always question these totals when at that time the closest BO figures one could get were collections from select screens and territories. Ridiculing BOI is the old trick played by Bachchan fans whenever his movie releases and turns out to be a dud. Bahubali 2 – The Conclusion (Hindi) shows no signs of stopping as it collected 9.50 crore nett on its third Friday which is another record. The film has now created a record on every day since release by having the highest collecting day from the first day till the fifteenth day and this looks to continue. The film is now standing at close to 400 crore nett and it seems to looking at a 500 crore nett apprx finish. If it falls short of 500 crore it will be by very small margins and some film in the next few weeks will have to do well to dent its run a little. The third Friday of Dangal was 6.20 crore nett and Bahubali 2 is smashing this record by distances. The figures of Bahubali 2 – The Conclusion (Hindi) till date are as follows. The Hindi version is now a bigger blockbuster than 3 Idiots, Dhoom 3 PK, Bajrangi Bhaijaan and Dangal and since 1994 it has Raja Hindustani, Dilwale Dulhania Le Jayenge, Gadar Ek Prem Katha and Hum Aapke Hain Kaun ahead of it and it sure to beat some of these in the coming weeks. “This is not Islam,” tweeted Bakhtawar Bhutto-Zardari, one of Bhutto’s three children. Her brother Bilawal is chairman of the opposition Pakistan People’s Party. She termed “ridiculous” the Ehtram-e-Ramadan Ordinance by which those “eating openly” during Ramzan will be given a three-month jail sentence. The 1981 Zia-ul-Haq-era ordinance was earlier this week made even more stringent with hiked monetary penalties. The Bhutto scion then pointed to the fact that no one is jailed or punished for “being a terrorist” or “attempting to kill school girls like Malala (Yusafzai)”, but “drinking water during Ramazan” can get one thrown in jail. Earlier this week, Pakistan’s senate amended that 1981 ordinance to attach a fine of (Pakistani) Rs 500 to the jail term for “smoking” and/or “eating openly” during the Islamic holy period. The senate also increased the fine for restaurants or hotels that flout this rule to Rs 25,000 from Rs 500. The amendment said that TV channels or theatres houses that violate the law will be fined Rs 500,000 or more. Bakhtawar, whose mother was assassinated 10 years ago, spoke about the inhumanity of arresting children, the elderly and the ailing for not fasting. When someone replied to Bakhtawar’s tweet, saying that fasting was an “Islamic legislation”, she reminded the person that fasting “is an important obligation” but asked “where the law is” that says people have to be arrested for not fasting. “Not in Islam,” she added. During Ramzan, also called Ramadan in some parts of the world, Muslims who observe the fast don’t eat or drink anything from sunrise to sunset. Two years ago, an intolerable heat wave coincided with the month of Ramzan in Pakistan. Some clerics urged those who are at risk to stop fasting. “Islam has drawn conditions for fasting, it is even mentioned in the holy Koran that patients and travellers who are not able to bear fasting can delay it and people who are weak or old and are at risk of falling sick or even dying because of fasting should abstain,” a prominent cleric Tahir Ashrafi told Australia’s ABC News. It looks like topping atleast 700cr in china. Aamir Khan starrer Dangal has created history as it has become the first Bollywood film to cross 1000 crore in worldwide. Needless to say that it is the highest grosser of all time beating the previous highest PK (792 cr). Dangal was recently released in China where it is doing unthinkable business. After beating Hollywood biggie Guardians Of The Galaxy, Dangal is recording very high collection in the second weekend which might go over 200 cr. It is now even collecting better than the combined collection of all new and holdover releases. Note: As of 1 PM today, Dangal has already collected $7.21 million and could go up to $15 million which is unbelievable. The collections will be updated again in the night. Are you an expert cook now? Well, I can cook. I like making baingan bharta, fried fish, prawns and lobsters. Getting back to the film, did you discuss it with your coach, Ramakant Achrekar? I didn’t. The discussion was mainly with my family and everyone was comfortable with the idea. Do you plan to venture into filmmaking at some point? If you could pick an actor to play your role, who’d it be? Whose name comes to your mind? Well, whenever I have asked journalists this, they have all named Aamir because there is direct connect. Aamir has done ‘Lagaan’ (2001 film on a do-or-die cricket match). He’s a great actor and a wonderful person. The madness is so much that 1 single day (today) of #Dangal will cross overseas lifetime of all Bollywood movies except these 9 or 10. Today is not included it wld be on top. 1100cr wld be crossed tommorow and 1200cr by tuesday or wednesday at max. i know list wld be updated tommorow with today’s final nos. BB2 ne 1 din 3M kiya tha to itna halla lo dangal ne 8 consecutive days 3M+ Plus kia hai aur aaj to 15M$ hone wala hai. today it is going to be about 13 million dollars. the total box office in china would be more than 130 million dollars. that is around 800 Cr in China……i think the entire world is going to sit back and take a note of that….next would be Japan and it may get a wider release in US again…….. There is a plan for release in japan,HK and korea. ha ha – read this on twitter – Everyone wants @aamir_khan to do their biopics.Viswanathan anand , Leander Paes, Dravid, Rahane, Rakesh Sharma, Sanjeev Kapoor & now Sachin. Today wld be around 14M$.1100cr being crossed tommorow and 1200cr hopefully by tuesday or wednesday and our dear BOI was saying 900cr 5 days back and 1100cr max. 3 days back. LOLLLL on them this tells us abt their credibility and research,they wld look like idiots now.i don’t see week3 to do any less than 25M$. No, collection were in neither.They were in Yuans. 13M breached!…still has a couple of hours left. It wld be close to 14M$ today.As per predictions LT range in china is from 120-150M$. Dangal’s challenging WW collections of BB2? No one nor I banked on that. Sunday will really decide the legs Dangal has. A flat or higher total to Saturday is good, the latter probably means W3 can be huge again north of $20MM. Potential scenario where China alone accounts for half of Dangal’s entire collections. I don’t know Japan’s market at all and how 3 Idiots or PK did there – but they love wrestling there. All its and buts – more will depend on Bahubali 2’s legs as its way ahead currently. India it’s trounced Dangal but Dangal in China is a massive swing. Feels like one last swing for Dangal and certainly for Bollywood they can now be safe in knowing that it will be a Bollywood film at top globally but not in India. Aamir’s global reach now is unquestionable, simply as it will take a seismic event from his fellow Bollywood stars to get close and they’ll need to crack China period. It’s that or a sensational event like Bahubali in Bollywood. They got in before I did! Total china colln after including today’s colln wld be abt 47M$.TAOTAL Overseas close to 82M$. 100M$ Overseas wld be done on monday. 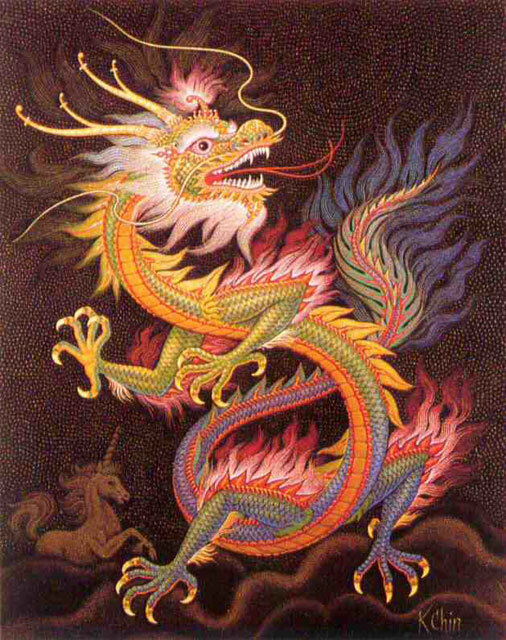 So, not only Great Panda but even Red Dragon is considered to be Chinese National Animal! Have to admit that i have started liking China more post Dangal. Hope Toilet Ek Prem Katha releases in China if Aamir Khan permits. Too bad Tubelight is starring Salman Khan, if it had Aamir Khan and Chinese actress with Indo-China war backdrop, it would have 2000 crores alone in China!! BREAKING: Salman Khan opts out of No Entry sequel; Hrithik Roshan to step in? Back in 2005 we saw the release of the film No Entry, now, years later rumours have been rife that the sequel of the film, much like the original would star none other than Salman Khan. In fact numerous articles have been published by various media sources stating that the film would be going on floors soon. However, now we hear that Salman Khan will in fact not be part of the No Entry sequel and he has declined to star in the same. In fact if all goes well, we hear that Hrithik Roshan will replace Salman Khan in the sequel. Though there is no official confirmation on the same, the director of the sequel titled No Entry Mein Entry; Anees Bazmee has had a series of meeting with Hrithik Roshan earlier this week. If that wasn’t all we also hear that Hrithik has in fact heard the script of the sequel that will be produced by Boney Kapoor. Interestingly, though Salman Khan had earlier confirmed and agreed to be part of the sequel, he later opted out. While the reason why Salman walked out of the project is still unknown, it is learnt that No Entry Mein Entry will have the major actors playing double roles including Hrithik Roshan. People who loved BB2 may love to watch Nagin 2 on Colors. Today I saw Arjun Kapoor and Shraddha Kapoor playing roles in this tv serial. Arjun was wearing some weird black dress. They are promoting their film Half Girlfriend. Those who can tolerate plastic snakes, pythons and loud Sudha Chandran can enjoy this drama. So, Ekta Kapoor becomes the latest Rajamouli! LOL! Pretty self-explanatory​ that Dangal is quite sensational in China – completely unexpected, another speechless box office story. Reporting like https://piaofang.maoyan.com/dashboard will make most of the box office sites irrelevant. You don’t have to hear agenda driven commentary. That site puts everything in Indian box office to shame! Seems like it crossed 1 crore ff in China. BOI still ignoring? It has crossed 1.5cr Footfalls till yesterday.Footfalls cld be close to 3cr after lifetime. I had commented before .These collections are more than box ofice numbers The current times are more about Soft Power than hard power . To set records in a market which has been hitherto untouched is unprecedented. Till now a 25- 30 million dollars in overseas was considered a huge success but these figures reflect that the real potential is much more than that. On the top of that the collections are coming from a population which does not consist of Indian Diaspora this may be a major breakthrough for Indian Films in foreign market. At the same time it would be dishonest to give the whole credit to Aamir Khan for such stupendous success. The success has been more due to the film than anything else, that the records are being broken by an aamir film is an altogether different thing. Nonetheless the man has been harbinger of a new era for Indian films. Rather than pulling him down one should praise his efforts to market the film in correct way. The silence of BOI , the so called best trade site reflect their biasedness towards a particular actor. I think every satellite box office site is giving Dangal and Aamir it’s due. Dangal China 2nd Saturday [9th Day] Collection. Collects 87 crores in Single Day. Havoc! Baahubali 2 and Dangal the 1000 crore Indian Films. Bravo! Plus ones posted from Indicine (at least 5 links). Every satellite site is following this 100%. Yes Aamir is getting the singular praise but he is the common in every hit Indian film in China. Dangal IS creating havoc in China. My BOI tirades have always had teeth. They have been critical with a ‘but’ headline and exposed their anti Aamir again. This time it’s worst as a truly rooted Indian film made on reasonable budget with a simple father daughter story and wrestling backdrop is a sensation in an overseas territory like no film has ever been on a like for like basis vs. history. This is not an NRI market. They simply haven’t fathomed Dangal. DCH tirades/Raees support backfired, they killed DCH to set up Raees as some torchbearer of Indian cinema – a film for the masses. They got embarrassed and Bahubali 2 / Dangal have left them defensive. Aamir’s sequence in China is incredible. I’ll park Bahubali 2 as it is ASTOUNDING in similar ways and right now both films should be getting similar coverage. I hope Dangal does NOT beat Bahubali 2 as I do think overall it’s a bigger deal for Indian films to do better pan India and break a dumb north south divide. But globally can there be any dispute on box office reach for AK films – the star war discussion have had the nail in the coffin for years this just the final moments where the ashes are scattered into the waters. @jayshah, dangal is beating BB2 for sure. Dangal crosses 300cr in China alone. @pktalli, u were doubting 100M$ in china,it wld do min.120M$ in china With outside chance of 150M$.Today’s perf ATM is even better than yesterday. Today’s speed is more than yesterday’s.6.83M at 11.15 IST and 13.45 CST.Today shld be between 14-15M$. They won’t! They will! They might… Is there or is there not going to be a third Baahubali feature film? Now that Baahubali 2 – The Conclusion has broken all box office records to become the biggest box office grosser of India, the original plans of “positively not” doing any more Baahubali film is suspended. Apparently, a high-intensity meeting between director S S Rajamouli and Karan Johar, the producer of the Hindi just before Rajamouli left for London last week, resulted in a “solid financially and creatively lucrative offer” to launch Prabhas in Hindi cinema. This project would have to be on hold as Rajamouli is now committed to direct a Telugu film for producer D V Danayya (who incidentally now wants to make his film in both Telugu and Hindi, that figures). But here’s the catch. While holidaying in London with his Baahubali producer Shobu Yarlagadda and family, Rajamouli received the news of Baahubali 2 – The Conclusion touching the unprecedented Rs. 1,000 crore mark at the box office, and still going strong. This is where the resolve to not do a third feature-film come what may (“We’ve already told whatever story we had to,” said writer K Vijayendra Prasad) dissolved. Rajamouli, a man of exalted ideas finds his sense of commitment under attack. While Bollywood beckons Rajamouli and Prabhas courtesy Karan Johar, both the Baahubali behemoths are committed to projects elsewhere that they took on prior to Baahubali… Rajamouli will be directing a film for producer D V Dannaya while Prabhas starts shooting for Telugu director Sujeeth’s Saaho later this month. In the meanwhile both the Baahubali producers Karan Johar and Shoba Yarlagadda are extremely keen to work with Rajamouli again. “Raja is not to the kind to be lured by the obscene amounts of money he’s being offered. But he has an emotional tie with both Karan and Shobu and he may agree to do Baahubali 3 on condition that both the producer reunite for Part 3,” says a source very close to Rajamouli . India’s most successful director remains monk-like in his detachment to the Rs. 1000-crore success. “I don’t need any money. I’ve a 2-room flat for me and my wife and daughter, a car which I drive myself. I don’t need anything more,” says the Sufi who has stunned civilization with his celluloid spectacle. that means at the end of 2 week – it can do around 80M which 500 cr+ – mind boggling nos. – more than India!! Aamir and Nitesh Tiwari, were invited by Dangal’s distributors to China for the film’s promotions. They went in mid-April and followed a schedule that was drawn up. Nitesh attended Beijing film festival along with Aamir and returned after two days in China. 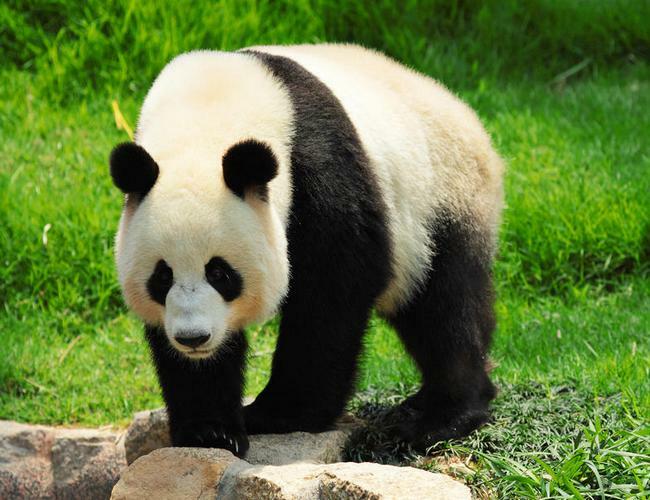 Aamir was there a whole week, going on Shanghai,speaking at a film institute, then moving on to see the giant pandas at a reserve where they are cared for, survival of the species ensured. He finally returned to Beijing, spent another day of interaction with fans , media , local film industry folk, plus Indians . A couple of Aamir fans are in touch with Aamir’s Chinese fan groups. They uploaded on FB, plenty (over 300 in number) of photos and videos. This was Aamir’s second trip, after 2015, when he visited with Raju Hirani, looking fat and unrecognizable.That was for the promotion of PK, apparently a shorter trip covering only Shanghai. Check out the I’m in China FB page. It is a Chinese conducted tour program that is meant to help overseas visitors understand China’s far-reaching measures to help keep their society and environment alive and kicking. Meri Pyaari Bindu showed growth of around 25-30% on its second day but that will not be good enough due to the low starting point. The growth mainly came in Delhi NCR, Mumbai and Bangalore. The second day grossed 2.25 crore nett to takes it total to 4 crore nett in two days. The collections of Meri Pyaari Bindu over the first two days are as follows..
Sarkar 3 was flat on Saturday and showed less growth than Meri Pyaari Bindu. The film is mainly collecting in Mumbai as that circuit is contributing over 40%. It will do less final business than the first Sarkar film based on Saturday numbers. The two day numbers of Sarkar 3 are as follows. Sanjana, you seem to be making like of some folks miserable by posting BO updates of Sarkar3 from BOI.. Actually some gentlemen dont want to see all this but you are still posting. You must be a brave lady.Keep it up! Master, is it a reality or just my observation that you have changed gears regarding your commentry here after the long break you took? Before break you used to be following one school of thought but now a visible U turn is there. Lol. what commentary? what U-turn? I’m doing neither. Dangal wld be in top 50 all time grossers in china.no.50 is 755 MYuans.Dangal wld top that for sure,it can even go in top 40. ATM Dangal has crossed 385MYuans. Dangal cld be the Highest non hollywood non chinese grossing film in china. Today expected collection in China = 95cr app. 1200 cr wld be done by Dangal tommorow or by tuesday max.BB2 would be broken in week3. No,tommorow’s forecast is 5.68M$.Also China’s LT prediction is now 137M$. Did you know? 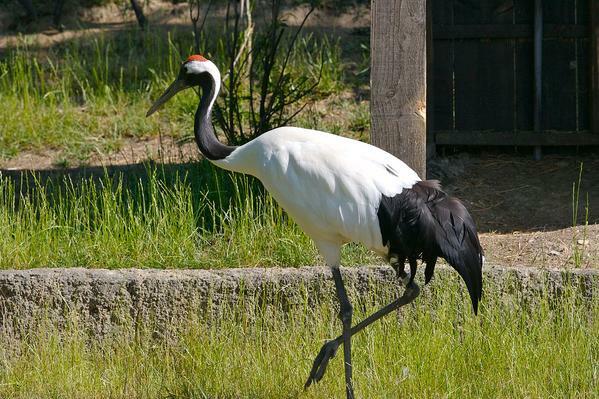 Red-Crowned Crane is the National bird of China! someone consolidate these comments pls. Thread should have ” Dangal China” in title of thread or a separate thread. We really need that or else I’ll end up becoming expert in China’s history!! I think Master meant consolidating his 3 comments on national bird of China. However, the film was trimmed by 20 minutes “to be in line with what the Chinese are used to.” according to Wiki. Meri Pyaari Bindu is a sweet film and if the average Hindi movie rose to this quality then we would at least have watchable options each week. Ayushman is surprisingly good – he’s usually so incredibly dull but here as the devotedly simple Abhimanyu he’s consistently endearing (and carries the film in his shoulders); Parineeti is fine but nothing she hasn’t done before (clearly these days she’s rather preoccupied with her looks). The plot itself is about unrequited love and complicated people (well, really it’s just Parineeti’s Bindu that is complicated) but unlike the high-pitched, glamourous agony of ADHM, this one seems more middle-class (in the Indian sense of the word) like the world of Hrishida’s films (which several new directors seem inspired by) and the pain is quieter. The all-pervading use of music, the all-round consistent acting, the lack of villains, the charming character artistes are all reminiscent of Mukherjee’s brand of cinema (clearly a good thing for the unfortunate audience of today). It’s hard not to be enticed by a film that is weaved around classic Hindi songs like Aaiye Maherbaan, Sun Sun Sun Sun Zaalima and Kabhi Kabhie. We not only experience the joy of hearing these tracks whilst sitting in a cinema hall (a rare treat for those of us born in these unmelodious times) but we also hear Parineeti Chopra’s surprisingly skilled vocals making decent attempts at them. 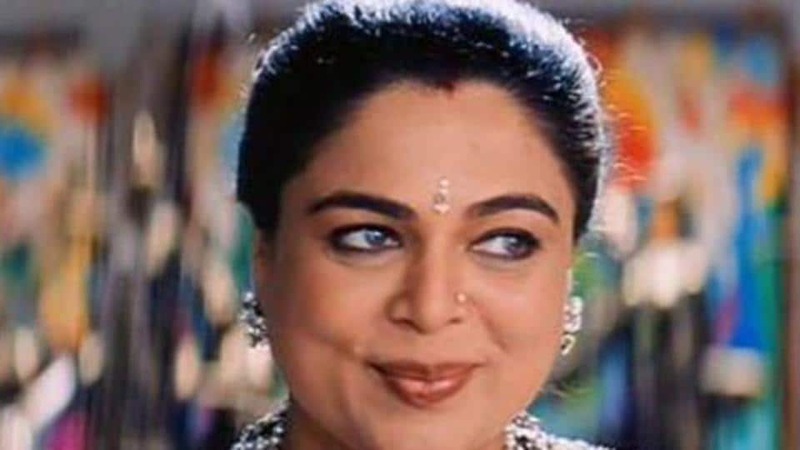 And the climax of the film gives us a beautiful original duet by her and Sonu Nigam: Maana Ke Hum Yaar Main, which is now playing on loop as I write this. Day 9 – 13.86 mil. USD [Rs. 88.94 cr.] with 30,99,003 admissions. Day 10 – 13.86 mil. USD [Rs. 88.94 cr.] with 30,99,003 admissions. Day 11 – 12.50 mil. USD [Rs. 80.21 cr.] with 24,60,541 admissions. last 3 days alone have contributed 257 cr!! that is crazy trending….. I believe the main reason is the connect of the theme of treating female child as equal to male child. China had a long history of female infanticide along with huge male population ratio over female for decades and this theme connected well. But it will go over the heads of many who thinks there is no connect and people are just watching the movie for Aamir Khan. Its like saying Baahubali 2 is running coz of Prabhas. yeah but because of Aamir Khan – the movie grabbed eyeballs for first few days and then the product took over…..PK+3I+D3+promotional tours…..aamir has done lot of ground work there and ppl have taken a liking to him….eveny Satyamev Jayate has lot of followers there….so full credit for initials go to him.. The watching public saw Prabhas, not Rajamouli. It probably is – but the film has connected everywhere. I think first it is an AK production, he stars in it. People make it sound like he’s planned this only for China LOL! Its a factor among many others. Maybe the biggest factor! On an aside maybe the biggest factor in Aamir’s film is not him but the film! That’s still the Rajamoulli model everyone is loving right now. I prefer this than rejoicing box office stardom and results of pretty average movies at best. And as an Aamir fan I hope Dangal does not become bigger than Bahubali 2 as it’s not a better film. But if it does I wouldn’t mind seeing the likes of Naveen begging for Aamir to produce films for Hindi ‘superstars’. On Akshay what a leech. He tweeted yesterday congratulating KJo for success of Bahubali 2 and then modified the tweet several times to include everyone else. He first only had KJo. LOL I guess he is doing a film with him. People can see it here. Dumb article. Any film’s success can be reduced. China is a huge market. Since 3 Idiots Aamir has probably noticed this. He’s done the groundwork as some have mentioned, heck D3 made more than any other Bollywood movie there barring other Aamir films. That Hollywood junk did decent business. Anyway Tubelight we’ll see – Chinese actress. India’s biggest star plus India’s former biggest global star in a cameo – it will be huge right? Saw Bahubali 2. The two films together are great. Might prefer 1st one. 2nd one was funny till around intermission and ramped up gears quickly. Fascinating dialogue battles. The last battle bit too long but overall probably the best visual spectacle films from India. This is definitely Lion King meets LOTR with Indian backdrop. Must see and did not cheat, watched in cinema! Will add. Katappa background story is so gut wrenchingly told – the emotional journey against an extraordinary backdrop is no easy feat. The extravagant battles make sense in this world, the sillyness of stunts in other films hardly does. In fantasy epics it’s easier to digest people jumping around and doing all sorts. Devsena and Queen mother confrontations were awesome. The female love character of Bahubali part 1 was short changed here. I think in these films you want them to carry on and see what happens. Very addictive film. I can only really compare it to LOTR and the only difference is budget and making certain battle scene moments look technically superior. But storyline wise this film can compare with the absolute best I’ve seen from Hindi cinema – that’s only a 25 year stretch…no invitation to Satyam or others to dig into the great history of the rich 70’s 😂😂😂. At intermission I thought it’s obvious what will happen but there are many ways to skin a cat and Rajamoulli really picks amazing twists and turns. The death sequence – what a scene, love how the old school way of dieing in dignity is thrown in. The subsequent sequences that follow are pure delight. The killing of the cousin, masterfully executed. I still think the climax was far too long but that is a tiny dislike and it fits in with the whole mould of the film. It is as good as Lagaan if not better. The audacity and imagination is leaps and bounds above what I expected. It deserves everything it gets. I would watch again but only if 1st part was in cinema. The DVD is no comparison. It’s everything a SLB or Gowariker film tries to be but they are not in this league. I went to two cinemas – booked out. The third was only 20% full. UK has missed the boat here – very much a Bollywood driven industry here. My local had only 4 shows in first week. Then 7 in second, it’s not being promoted well here. I think it’s snobbish! We British are snobs as livewire put it. There are demographical reasons for films exhibited in UK. Bollywood films are driven by large bangladeshi and pakistani people in UK, Wait for Tubelight to release and see the difference. North America is driven by large telugu population which outnumbers any other from India. As for India is concerned, Baahubali the beginning had done the groundwork the way Aamir did his groundwork by releasing his films in China. SRK is loved by aspirational Nris and all his films succeed there without exception. Singapore and some south east asian countries have large tamil popultion and Rajni films get a good reception there. I maybe wrong but this is my perception. Anyways it is a win win situation for Indian film industry. Agree I’ll add there is some snobbish stuff. Put bluntly I never expected myself to watch a film outside Bollywood, they’ll be many like me but many unlike me who don’t follow reviews or box office. It is literally the box office results and reviews that have moved me to watch it. Even Aamir and Salman don’t have the following of SRK in UK. Aamir’s records are testament to a long slug of a race over many years. That credit took little time in India, US, China etc to reap the rewards. In UK it has taken longer. In a nutshell, SRK in UK is what Rajni is to Tamil Nadu in India. But rest of world has inverted it’s tastes – UK is seriously a dead market soon, probably like the isolation of the island itself from the world! A paltry 4 shows for Bahubali 2 in first week, I was shocked! That’s what any Bollywood film gets! I think even Ash and Kajol have some market there. Great comments. Glad you checked out both parts, specially the second one in the theater. I too might have liked the first one a bit more. I’ll try and get to this in a comment. I posted this in the last thread. Maybe it found little interest and maybe SRK will get back into the limelight with Tubelight plus the Chinese connection! U hit the nail on the head. It is supposed to be a sorta pep talk on paths to success, but turns out to be wholly narcissistic. An ageing actor trying to relive a bygone era of past glories, but just cant get out of his “me-my-mine” tendencies. Reminds me of all those appearances of Rajesh Khanna at award shows, where he would just not get out of his 70s overhang. I just relish the inescapable subtle irony of a Bwood production becoming #1 on the Chinese BO, amidst the conspicuous absence of India at the One Belt One Road summit. Dictators/leaders from Russia, Turkey, Pak, China et al are meeting to plan this huge global network of infrastructural tentacles, one of which tramples on Indian sovereignty. Also deliciously ironical that a movie on female empowerment, made by a secular Muslim who was heavily vilified in the not so distant past by the ruling Indian establishment (as well as by yours truly), is running to packed houses in China, a country which just recently banned its own Muslim population from observing basic tenets of their own religion. And said movie has not been released in Pak, a country which constantly connives with China in their gameplan against India, because their establishment wanted Aamir to censor out the Indian flag and anthem. Soft power of art is indeed awe inspiring. If only it could be truely transformative in these turbulent times. I think even US is participating. Initially they said no but later sent a delegation. Nobody is being denied from posting anything of their liking & commenting on any topic or even liking the comments or posts!! yet…………………………?? Why Sultan was not released there? Meri Pyaari Bindu had a low weekend and the trend was pretty flat. It managed some growth on Saturday but that was mainly because the film was very metro centric and Delhi NCR and Mumbai city always grow well on Saturday. The Bahubali 2 craze would have affected the film a little but not enough that it would have succeeded if Bahubali 2 was not there. The collections of Meri Pyaari Bindu over the first weekend are as follows. Sarkar 3 had hardly any business and no trend over the weekend. The first Sarkar in 2005 which was not exactly a HIT film had grossed 6.86 crore nett over the first weekend and that was 12 years back. This pretty much tells how badly Sarkar 3 has fared. The first weekend numbers of Sarkar 3 are as follows. I cant’t understand why Bachchan agrees to do Sarkar3 kind of films? Maybe he should avoid all the pain in the neck that he so generously takes on. Amitabh Bachchan, after another wow performance in Sarkar 2 is under the weather. The Lion of Bollywood is laid up with a severe neck pain. “He is in acute spasmodic pain. It was aggravated by his constant media interaction for Sarkar 3.He was warned against overdoing the public appearances. But he insisted on going out to promote the film as per the water-tight schedules drawn up by the marketing team,” says a member of the Bachchan family. Work pressures have been building up to a crescendo in Mr Bachchan’s career. He has repeatedly been told to take it easy. “But does he listen? He will go to every function that he is invited to and will listen to every script that any director wants to make with him,” says a worried Bachchan family member. After looking at BO collections of Sarkar3, he must be feeling pain in all parts of body not only neck. #Baahubali2 is now racing towards ₹ 450 cr… [Week 3] Fri 10.05 cr, Sat 14.75 cr, Sun 17.75 cr. Total: ₹ 432.80 cr Nett. HINDI. India biz. At this rate Baahubali 2 will get to 500 cr in its Hindi version, which will be incredible! In fact it should get there by the end of its 5th week if it holds like this. All India nett is around 875 cr according to andhraboxoffice.com and WW gross in the range of 1325-1350 cr. I am loving the competition that Dangal is giving BB2 with its China run. I was hoping Dangal does 70-75 M$ last week, but now it has already done 60 M$ till its second weekend! If the opening weekend numbers were due to Aamir’s groundwork in China (3Idiots, PK and the promotional tour), the second weekend has to be the film itself. I am betting that both BB2 and Dangal will get past 1500 cr WW mark. Dangal may just double its haul from here in China. Both BB2 Hindi version and Dangal have truly crossed over in North India and China respectively. I think Dangal’s credit is more here for crossing over outside Indian diaspora (speaks of the standard of the film). We have had Telegu remakes becoming Hits in north India. So a well-made dubbed Telegu film is more likely to work in Hindi belt than Dangal working in China. Of course, the extent to which both films are succeeding is astonishing. In fact I will be snobbish enough to say that BB2 has a low brow masala treatment that serves to the lowest denominator. As a result, it is unlikely to appeal to foreign audience. However, Dangal is a very polished film with serious treatment that not only makes it a better film (imo), but more palatable to non-Indian audience. Otherwise we would not have got such numbers from China. As for BB2, they can release a dubbed version in China. But I seriously doubt if it will work. Not because of the star cast, but because of the film. Marcus, I strongly disagree with your “snobbish attitude” towards Baahubali as it’s neither low-brow nor inferior to Dangal in any which way!! I”ll rate Baahubali a bigger achievement both in terms of its vision & in realising that vision to the t than Dangal as nothing of this scale was not even attempted in Indian cinema in the past, leave alone any antecedent!! Only Lagaan comes close but not close enough to be in the league of Baahubali as Baahubali is singular & seminal both in its vision & audience’s reception ensuing in boxoffice tsunami which is a rare combination as twain seldom meet & create this sort of seismic effect!! On the other hand, Dangal’s China numbers are way beyond anybody’s wild imagination as it’s doing Baahubali in China!! And i sympathise with the lot who are attributing Dangal’s China performance to the movie itself than Aamir as the same bunch never credited Shahrukh’s overseas success or Salman’s last 2 movies (BB & Sultan) success to the content of their movies or to the directors of their movies?? Yet the same people’s deliberate memory loss to the fact that only Aamir’s movies are doing anything worthwhile in China as how could one explain mediocre film like Dhoom-3’s bigger collect ion more than the combined totals of Baahubalis,HNYs & Fans of this world which was a direct consequence of Aamir’s popularity in China. If movies like Baahubali, Dangal, Gadar, DDLJ & HAHK are such monster hits, it’s common sense that only stars are not behind their mega success but audience’s connection with the theme & content of these movies enabled them to finally reach such mammoth totals. So why this sudden clamour of attributing “content” behind China’s boxoffice earning in a tacit attempt to rob Aamir of the deserving credit for Dangal’s humongous success!! I don’t agree at all. Both are great for different reasons. Bahubali won’t work for the same reason that D3 won’t work in China. Hollywood is better perceived and is just technically better. A Chinese equivalent of Bahubali would work in China as it would link China’s past into the film. Bahubali works in India as 1) It is technically a much superior film to other Indian films period. 2) Because Indian public can relate to the film, draw parallels to Ramayan or Mahabharata it becomes much more personal and almost transports you to meditation or your soul. It’s not lowbrow in any way. It’s put together incredibly well, it’s not Hollywood as the budget is not there. But because the dialogue is soap operish it works on TV and the hook to keep people in suspense for 2 years and feed the film through TV in that period is a masterstroke. It’s cinema at its best. Best in the context of budget. How can a Caucasian relate to it vs. a LOTR. It’s impossible, to them it’s inferior. To an Indian it’s the opposite. I am European and loved BB2 to bits. I saw it already five times and I am planning to see it again. Simon Abrams also seems to be a fan: http://www.rogerebert.com/reviews/baahubali-2-the-conclusion-2017. Calling condescendigly the movie “low-brow” is really absurd. Both Marccus and jay are right. Valid points. चीनी निर्देशक फ़ेंग शियागांग ने भी फ़िल्म देखी है और वीबो पर तारीफ़ की है. चिंगहुआ यूनिवर्सिटी में प्रोफ़ेसर यिन हॉंन्ग फ़िल्म क्रिटिक भी हैं. उन्होंने बीजिंग इवनिंग न्यूज़ से बातचीत में कहा है कि दंगल जैसी फ़िल्मों के आगे चीनी फ़िल्में छोटी साबित होती हैं. Picture this: An Indian film grossing Rs. 1000 cr *worldwide*. One would’ve never imagined this a few monsoons ago. It’s a reality today. A lot has changed in these five months. Both DANGAL and BAAHUBALI-2 have made Indian cinema proud… have changed the way we think or look at movies… have pushed the envelope… have made each of us realise that we need to think beyond a few lucrative territories in India… have proved, yet again, that a good product can cut across boundaries and emerge triumphant. Yes, these two films will go down in history as game changers. Moral of the story: Think big. Think global. That’s the mantra for success! It’s time to celebrate. Both DANGAL and BAAHUBALI-2 have revived and rejuvenated the film industry. Every producer I meet or interact with these days is looking at making films that appeal to the global audience. Not just the traditional markets. A few announcements have already been made… A few are in the pipeline… You will hear about them soon. The quality of Indian movies is undergoing a change for better. We will witness the results in late 2018 or early 2019 onwards. Hopefully. Having said that, you cannot expect every film to emulate the success of DANGAL and BAAHUBALI-2. Moreover, you need to think about the pan-India audience and global audience simultaneously to strike a chord. Films that reflect India, are Indian at heart, but made skilfully and intelligently, can find an audience worldwide. The film ought to excite the audience. Only then will the viewer dig into his/her pocket/purse to pay for the ticket of the movie. I reiterate, a big star alone cannot guarantee success. A strong script is the king and the maker/director and writer/s are the king makers. Aamir Khan and S.S. Rajamouli are two shining examples of this statement. For them, their films come first. That’s the level of commitment they have towards the craft. And it reflects in their movies and the business their movies do eventually. 5M$+ day in China today.It wld reach 100M$ in China in 3rd week. Inside a month PK’s 743 CR WW collections is no more. Every film is chasing nearly double! Bahubali 2 will hold Dangal down like Geeta held down Mahavir in Dangal in a close race for Global supremacy. Aamir has proved again he is way ahead of his contemporaries. He’s dealing in 000’s now not 00’s. His competition is from other parts of India not Salman or SRK or any other Hindi ‘superstar’. Ask Aamir or Rajamoulli if frequency matters! The perfect rebuttal! Nearly 3000 CR or more between 2 films alone by end of run between 6 months. Predictions for 2017-2018. TOH will break the Diwali jinx. The myth that Diwali is no longer the prime slot and that Xmas is. The myth that holidays help has gone with Bahubali 2. The myth that a similar film with no real BB soundtrack, leading lady, high scale production values is broken by Dangal. No more excuses for our underachieving Hindi ‘superstars’ anymore. Put up or shut up. Deliver a BB bigger than Dangal (in India only) first then talk, otherwise all the debates have 2 fingers. One Dangal and one Bahubali! And more importantly 2 fine films! The Bahubali theme is not new for the Telugu movie audience. The Telugu film industry journey started with fantasy, epic, puranic, folklore movies and experienced a golden classical era of movie making for many decades. Raghupathi Venkaiah Naidu pioneered movie making among Telugus. The first talkie film from south India, Bhaktha Prahlada, was made by HM Reddy in 1932 and from there on the industry never looked back. From the late 1980s, urban commercial elements took over the industry and the era of superstars, supreme heroes, megastars, box-office bonanzas, victory stars began. Chiranjeevi, Balakrishna, Venkatesh, Nagarjuna were the super-heroes of this era and stardom reached dizzying heights. Mostly hero-centric movies were made, stories elevating heroes were preferred and all other characters, including lead female roles, added no real value to the cinema. Post-economic reforms, the Telugu film industry emerged as an urban phenomenon with little space for real rural-centric life or emotions. Ironically, even then, the biggest blockbusters for the stars came when movies were made on feudal rivalries from Rayalaseema region. The Telugu film industry has lost its soul; movie making has become a cut and paste job of different entertainment elements rather than a holistic story-centric approach that created different characters with their own strength. Adulterated language, songs with no soul, lyrics dominated by loud music became the norm. Hero-centric fan-ism bordering on casteism has vitiated the social atmosphere and poisoned the minds of the young. More than their careers and education, the young fans of super heroes focus more on their favourite stars’ movie revenues. Amidst this degraded scenario, Bahubali comes as a refreshing change. In one stroke it has elevated the Telugu film industry to a level no Telugu star could have ever imagined so far. All the glamour of super stars and the boastings of their fans look very small before its gigantic success. Dangal crosses 100M$ in Overseas.#Dangal was 4th among all movies that were playing worldwide this weekend. Most interesting thing is that it was powered by just 1 Country.All othere were worldwide while dangal was running in China only. Dangal crosses 400cr in China surpassing SRK’s highest WW grosser CE(395cr) only with china biz. Imagine if Aamir were to star in the next Fast and Furious! After tommorow All top 10 Single market Overseas days wld belong to Dangal.#1-#10 only Dangal. Then it wld be top 15 or even more.10th consecutive 3M$+ day.It cld be 20 consecutive days and there was hoopla of BB2 doing 3M on 1 day and it didn’t repeated that feat after that. How did dangal do compare to bb2 in all other markets? It has grossed more in UK and Gulf and lesser in US and Aus due to abnormal sky rate ticket price,almost 2-3 times of Dangal.So,even there Footfalls were more for Dangal than BB2. I believe BB2 is an exception, not a rule. We can’t expect the Tubelights, TZH, TOH to challenge it’s india figures. Right now we are all in awe of what BB2 has done in india (and that it’s the hindi market that’s driven the business after week 1) but expecting others to chase this number is not fair. The problem now is that BB2 has changed the meaning of the word BLOCKBUSTER. Both TL and TZH will probably combine make over 650 CR and will be termed ‘disappointing’ by some. I don’t really see any movie surpassing the all india total for BB2…it’s just mind boggling times infinity. Even the hindi number will take some time. Equally amazing is what Dangal is doing in China! To have a moderately budget hindi movie about relationship between a father and her daughters DESTROYING a big budget hollywood movie in it’s 2ND WEEKEND is beyond words. Dangal has def touched something in China but I don’t see TOH repeating this feet. I might make more than PK but it’s not coming close to whatever total Dangal will reach. Lets see what TL does in China because I am sure they will try to get it to as many screens as possible. I actually think a 400-500 crore range is very doable for Hindi films, given the scale of the market. however I do agree that it’s not likely to happen (without Aamir at least) because Bollywood is not capable of making those kinds of films. It doesn’t have to be an epic like Baahubali. A true blue masala film that struck a chord could do it. In other words if a masala film struck Dangal’s chord it would do much more than it. But again there is no one in Bombay able to make that kind of cinema. In the South you still do. Put differently Rajamouli for all how unique success with Baahubali is nonetheless part of a system. He organically emerges from it. Yes his vision is something else altogether with Baahubali but if you watch his past movies he was very much part of his industry’s history. You can make Sholay if you already have an industry that can house such a film. Bombay can make Lagaan on a very special day, not Baahubali. Not that there’s anything wrong with Lagaan (actually, and despite all of my own awe at Baahubali’s achievement, I’d still say Lagaan is the more interesting film) but Baahubali’s is a very different world. And no one in Bombay is connected to that world. I think Ghajini today would probably do more than Dangal. I think Ghajini today would probably do more than Dangal. Well it might do if released AFTER all this success Dangal has seen. Not before that because it is a typical masala film and many family audience would stay away from that kind of genre. BB2 and Dangal caters to all kind of audiences and safer bet for anyone wanting to watch a good film. Agree that it’s possible and no one is saying every film should do big business. For every FF8 there is a King Arthur. But I don’t see how in Hindi films one can’t get a spread of 1 400-500 CR, a couple of 200-350 CR and a dozen or so 100 CR +. It’s simple the industry does not have the craftsman. Hollywood manages a good spread consistently. Fine the next titanic, TDK or Avatar are years apart. But in between you get films that do 80% of that business in all dimensions. The Salman way or the Aamir way. Simply it happens. Still waiting for ur thoughts on BB2. And perhaps a re-posting of Dangal. Both ventures carry unique threads of India, from ancient to contemporary, with women empowerment intertwined. TOH will surely go past BB2 with aamir there and now his appeal is more global. Even India business will be more than BB2. It is a safer bet. A film is only disappointing if expectations are unreasonable in first place. A lot of people expected certain films to do great or poor after watching. Ppl were betting huge on Tubelight as much as a month ago. One teaser and now we are 200 CR. Ihave heard of politicians announcing their intention to eliminate poverty, but an actor articulating a vision to eliminate state-wide drought? I would have caught my stomach and laughed at this recklessness, but for the person making this claim. Aamir Khan and Kiran Rao started the Paani Foundation (along with team members from the television show Satyamev Jayate) with this objective. I have sobered since; they couldn’t have selected a more relevant subject. By 2030, India’s per capita water availability is expected to decline from 1730 cubic metres to 1240 cubic metres; water balance could shrink almost half to 200-260 BCM (source: Strategic Foresight Group). Interestingly, not all the blame can be laid at El Nino’s chaukhat; humankind has polluted lakes and rivers, over-pumped ground water without corresponding recharge, continued to grow water-intensive crops in watervulnerable areas.. The strident demand is to let the government do something about this; Paani Foundation suggests that citizen-led rain water harvesting or watershed management can turn the tide (lousy pun) faster. This is what is remarkable about this year-old NGO. One, its sheer smallness contrasted with the grandness of its vision – idealistic you may call it, but a man’s reach should exceed his grasp, or what’s a heaven for? Two, each of the NGO’s promoters could have basked in their glory and issued a responsibility-abdicating statement that they were engaged in enhancing urban awareness for a water conservation problem affecting the rural millions; they selected to put their hands in the bucket instead. Three, they dared to take a contrasting stance from the Government of Maharashtra’s Jalyukt Shivar Abhiyaan that addressed village watershed management; the NGO advocated that the trick was not in addressing this problem outside-in but to inspire the rural folk to recognise the problem, find the land, money, know-how, hands and resource to harvest their own water. Four, the NGO motivated-trainededucated a complete solution. For instance, the NGO invested in mass and digital media to educate through entertainment; it trained (technical and leadership) five persons per village, entailing coverage of 150,000 persons across 30,000 drought-vulnerable Maharashtra villages; it created a digital platform that comprised technical information on the one hand while accessing crowd-sourced funds, government support and volunteers on the other. The result is that the rural folk, who considered walking miles for water as part of their destiny, now, consider it important to measure rain in millimetres. Five, the NGO did not just preach the message; it transformed the exercise into a game (first prize Rs 50 lakhs, second prize Rs 30 lakhs and third prize Rs 20 lakhs), starting with116 villages of three talukas – Koregaon (Satara district), Ambajogai (Beed district) and Warud (Amravati district). The four-day residential training camps comprised five villagers (including two women) per village; about 800 villagers were trained in watershed development. Six, the results have begun to show: in the Satyamev Jayate Water Cup competition, nearly 4,203 villagers completed Rs 91lacs of projects across a month-and-a-half in Ambajogai taluka. The result is that when it rained last year, the water stayed where it fell, the first time such a thing had happened in years. Seven, a total 1368 crore litres of water storage was created, equivalent to 13,68,000 water tankers and around Rs 272 crore worth of annually saved water –without Paani Foundation funding any village (there is a term for this in management jargon: asset-light). The first prize went to Velu village in Koregaon taluka, which created the highest amount of water storage (231TCM). Eight, the immediate positives are remarkable. Its a pity that the message that SRK gave on Ted talk is not at all understood by Aamir khan fans. Not sure they even listened to the 17 minutes talk, now that they are busy in doing something else as their hibration season is going to start from next month for 2 years. I think the TED talk spoke about Humanity. Aamir actually has a lot to learn from SRK because what he is seeing now in his stardom, SRK has seen it before. Ofcourse every next star will see a bigger success than its predecessor but important thing conveyed in the TED talk is the virtue of Love. Shah Rukh Khan is probably India’s most known face across the world. He has been to places and represented India where no other person has. In fact recently he became the first Indian actor ever to deliver a TED Talk in Canada. As expected he received a standing ovation after his seventeen odd minutes inspirational speech. One thing that stood out the most in his speech was his love for his country, India. During the speech quite a few times he spoke about India and love he receives from each and every Indian. Not just that he educated Canadians and various others who watched the TED Talk around the world about India and its people. Katrina just got the project of her life. A film with Akshay Kumar will have her fans asking for more. This pair is now the best on screen. Twelve years ago, when Katrina Kaif was working with Akshay Kumar in Raj Kanwar’s movie Humko Deewana Kar Gaye, she was taught Punjabi by one of Raj’s assistants, Anurag Singh. Anurag, who later went on to make Punjabi movies like Jatt and Juliet series, starring Diljit Dosanjh, as well as the award-winning Punjab 1984, has now been signed as the director for the untitled Salman Khan-Karan Johar co-production. The movie, which stars Akshay, will be released in 2018. And while Anurag has got Diljit to star in the film, Katrina has been eager to star opposite Akshay. Word in B-town for a while has been that Kat is keen to do movies opposite only big superstars, after her movies with the younger actors like Aditya Roy Kapoor (Fitoor) and Sidharth Malhotra (Baar Baar Dekho) failed to set the cash registers ringing. Katrina has already had a great run with Akshay, having worked in five movies like Namastey London, Singh is Kingg, Welcome and Tees Maar Khan after Humko Deewana Kar Gaye. However, the two haven’t worked together in about seven years now. Both Salman and Anurag are hopeful to get Katrina on board because of the fabulous tuning they share with her. It remains to be seen now if after Baar Baar Dekho and Agneepath’s Chikni Chameli, if Karan will cast Katrina in his movie yet again. Think big. Think global. That’s the mantra! Think Big, Think Global, Be Local and Do More – That’s the mantra of success anyways. Speed, Size and Scale – The 3 S as Modi says. Jayshah in one of his comments tries to gove less importance to speed. One has to give importance to speed if one needs to deliver a transformational change. Something which Indian Premier League has been able to do with immense success. But there are very few Indian successes like this. Just like Spielberg or Ridley Scotts, one has to think of innovative ways to get the vision on the ground in Indian film industry to deliver atleast half of Dangal’s performance every month. Difficult part is that here creative mind and business mind should go together, which is not easy. Time has come now for creative best to open film studios not only to promote their own films or lauch ones nephew but to do more meaningful and successful cinema. Let me be honest – When i see creative talent like Aamir khan restricting himself in doing film where he is a lead star or his nephew is…it makes me regret waste of a huge talent. Aamir khan the maker is bigger than the star. Whole of India knows this and goes to his films because of an impeccable past record. I am now saying he should make movies with others stars like SRK, Salman or Akshay….but atleast he can easily do good films with new comers. He wither does his wife’s movie, nephew’s movie and his own. He can still do his own…but instead ask his wife and nephew to manage his film studio and logistics and Aamir does 3-4 movies in a year to begin with as creative director. This role is different from an executive director. But i hope Aamir is reading this and gets my drift. Again this is not only about money. Its about bringing a transformation changes. Ranbir was first choice for DB, but he chickened out. Probably, Ranveer would have done it but he wasn’t known then. DG was a wonderful movie that many didn’t get. It talks about the socio-economic divide in Mumbai. Want Kiran to direct her next soon. Aamir had got Mansoor to help with JTYJN. I hope he is able to get him more involved in AKP. Crouching Tiger Hidden dragon with 128M$ gross in US is the highest grossing non hollywood foreign film in any country.Dangal could beat that and that cld be a very unique record.Also that record of CTHD is long standing.No one is even close to that. No,inflation adjusted is 200M$ not 300M$.I was not talking abt inflation adjusted though. Also to add CTHD had ATP of $5.64 with footfalls of 2.27cr.Dangal is currently having ATP of abt $4.7 in China.So,ATP is less than what CTHD had in 2000 and wld have more footfalls than CTHD(1.50cr already till yesterday).So, in real sense Dangal is bigger.CTHD is called the biggest crossover ever in US.Now how wld all the members define dangal as a crossover.Nobody in Ind can touch these fig. in combined overseas let alone a single overseas country in next 10 years. Naveen, I have already posted Taran Adrash article before you. Just before posting try to go through previous comments. PROUD MOMENT.Dangat at no.1 in weekend billings in China.Dangal did the same in Taiwan as well in it’s 3rd weekend there.Even BB2 didn’t do this in NA,it was no.1 only for 1 day and by just a whisker.Dangal was at no.1 n Taiwan for 6 days,China it has already been on no.1 spot for 5 days and cld add more to that 5 number. After watching Rangoon for an hour I felt Kangana has become caricaturish. I did not even feel like posting her Simran teaser. that is unprofessional on part of producers…..why go public if the deal didn’t work? i doubt thought this news is authentic. No wonder, bwood starlets are playing hard to get for roles opposite Prabhas. Well, Shraddha or Disha are starlets and I am surprised why Prabhas has not gone for Deepika, the current diva. Even Rajnikant was not accepted in bollywood. Or Mammootty with whom Bhai would not have any problem. When you bring religion here, I am wondering why telugu films dont have any big hero or heroine from that religion though the industry is based in Hyderabad? Akshay thought Karan directed Baahubali. ROFL. He should be trolled for this. The next Alia Bhatt. I doubt he thought that. It’s business, he’s in his production with Salman. He’s probably got trolled hence the edits. Better to be silent than false praise. no he praises him for being a good producer here.. Details details details. That edit tweet is funny – is that better than radio silence? When one is leading the way…mistakes can happen. People will first mock you, then praise you and then follow you. Quite gracious of Akshay to praise Baahubali 2. Surprising all the three khans have become Mauni Baba in this case. Aamir any way praises only those movies which has Salman or doesn’t star his other contemporaries or is smaller than his hit. He takes this competition business up his chin. However Salman is more generous and honest. His silence is most surprising. I think you want to needle and provoke fights. Tomorrow you will say those who did not like BB2 are anti nationals. Did Rajamouli or Prabhas praise Dangal performance here and in China? Aamir need not go out of his way to praise movies which he did not see. Dont politicise everything and stop targetting aamir everyday. Did Akshay praise Dangal? Because Aamir is his biggest hurdle and competition and getting National Award does not make things easy for him. Salman praised Akki and thats why Salman became generous and honest in his eyes! I genuinely feel Salman is the most honest when he speaks about Aamir, SRK, Akki, etc except his own matters. Ab Mogambo khush hua! Now srk will be in the good books of Naveen and aamir will be in his bad books! Glad that now SRK and others are coming forward. Jhootha hi sahi…lekin acknowledge to karo yaar. Where the fcuk are other stars? Busy pre-editting tweets to ensure they congratulate correct people and job titles. He could have deleted the post and created a new one, but he did not. He edited it which shows his sincerity and honesty. Ok ok ok. Version 1, version 2, version 3 and version 4. And then he is honest, he’s probably been hammered by everyone each time to change it. Fans believe anything. You do know he praised KJo first right? I’m surprised he missed out Priyaadarshan. Naveen, it was very unlucky that Baahubali 2 Hindi premiere was cancelled due to Vinod Khanna’s demise a day before release. If it had that premiere, you would have seen lot of Bollywood folks reacting on Twitter and all over. The problem is that once that free screening was cancelled, I doubt any folks will go and purchase tickets and watch it to comment. They are doing now after 2-3 weeks like Ranveer went to regular cinema to watch it. Both Dangal and BB2 are showing excellent hold in its 2nd and 3rd Monday respectively. Dangal has done nearly 5M$ on Monday and BB2 has collected 8 cr! BB2 will cross 450 cr landmark in next couple of days. Its outperforming Dangal in India by a margin in its Hindi version. But then BB2 is a well made masala movie rooted in Indian culture, whereas Dangal is a more serious film with realistic treatment. It does not have men/women flying around while wrestling. Whereas BB2 is a complete masala film with a lowbrow treatment that is characteristic of most Telegu films (if one goes by the remakes we have seen so far). In other words BB2 dishes out Golmaal/Rohit-Shetty kind of sensibilities in action/comedy elements despite its grand scale and vision. Comparing it with LOTR is stretching it too far. To make it palatable (not relatable) to foreign audience, BB2 needed a more realistic treatment (even within the fantasy backdrop) – something like what Nolan did with his Batman series where he gave a serious treatment to the most non-serious genre of superhero films. Aamir on the other hand has become the face of Indian cinema in China. The unexpected high numbers are surely because the film as a whole has made a connect with the audience there. Attributing this to the “star power” of Aamir is quite superficial, otherwise the movie would not have done almost 3 times the business in 2nd weekend as compared to the first weekend. Aamir’s starpower certainly got that 11M$ in the first weekend (which no other bollywood star is capable of at this moment). Anyways, Aamir gains the most from Dangal’s extraordinary run in China. It is good news for his future films, provided he makes the right choices. At this moment I am not sure of TOH’s fate in China. It will surely minimally do what Dhoom 3 did, which was not insignificant when compared with other Bollywood films. But repeating Dangal kind of trending will be difficult (due to similar reasons as in the case of BB2). In fact, Secret Superstar will have a better chance at connecting with foreign audience due to its genre and treatment. But then again, it is a tall order. I don’t think Dangal will get so high. In any case Bahubali 2 will have 2nd phase release and Dangal in Japan (they like wrestling) so who finishes top is going to switch. It’s only 400 CR now, you are estimating 2.5 times that? I don’t know Chinese market at all, but looks like 800 CR finish at most. Looking like a close to 150 cr finish for Dangal to me…. Whatever it does in W2 it will double in rest of run. So probably W1 27 + W2 50 + 50 = 127MM. Anything more is a bonus and that’s pretty much PKs trend in China, only fair comparison. I don’t think weekdays are showing growth anymore like first week, the collections are settling down. It has one huge weekend left before it’s adding into $1-2MM range. At some point what is probably a niche film (for China) will stop growing as it is an alien film in an alien land. Yeah 150 mln minimum. Yeah if one country behaves this way, WW collection will be in Dangal’s domain. I don’t think B2 will touch it even if released all over the globe in phases. Dangal has more to come from Japan and South Korea also, I think. Well, it is not about numbers only. We dont know what catches people’s fancy in a big way. There are so many factors involved. What we see is numbers. What we dont see is how and why. Will it be a trend or once in a while? To be honest neither Dangal nor BB2 made me overwhelmed the way Titanic did. I did not anticipate their respective successes in such a big way. Ya, its not about numbers only. I liked both films (Dangal a bit more) and thoroughly enjoying the success that these 2 films are getting. Who beats whom in the final run does not matter much (imo). Both are likely to cross the 1500 cr WW mark, which is great for Indian cinema. So the gap between them will be around 200 cr. Dangal is expected to do well in 3rd week in China. But in its 4th week, it will be competing with POC. It remains to be seen if it can hold fort against POC and keep adding to its total. It roughly needs 750 cr from Chinese market to touch 1500 cr WW. For BB2 to reach that mark, it will be easier as the Hindi version still has some steam left. I just saw An Jo on BR blog with views on Sarkar 3. I agree with religion being “conceived” point. Ever since Dangal’s Fatima Sana Sheikh was announced to be part of Vijay Krishna Acharya’s Thugs Of Hindostan there has been speculation on whether Aamir Khan will be “romancing” Fatima. The idea appears somewhat repugnant in the light of the fact that Fatima played Aamir’s daughter in Dangal. “It’s not true. They don’t have a romantic interest in one another at all. To see Aamir Khan romancing Fatima right after Dangal would be an exercise in tasteless and insensitive professionalism. Although Fatima is part of the cast they’re not a pair. Aamir is paired with Katrina Kaif,” says an informed source. Not that Aamir would flinch from being professional if asked to romance his screen daughter, In the past Nana Patekar has played father and husband to Manisha Koirala in Khamoshi: The Musical and Agni Sakshi one after another. “Aamir would be professional about it. But it isn’t happening. They are not a pair,” says an informed source who adds that Aamir is taking a professional interest in all his 4 screen-daughter’s careers from Dangal. “All the four girls who played Aamir’s daughters are now his responsibility. He will see them to stardom”, concludes the source. As a factoid note this is the third film Aamir will be doing that’s set in British India. Lagaan/RDB were obvious gems. If only Mangal Pandey had been well-made, it too wouldve caught the fancy of many. IMHO, despite a wide canvas, it just failed to convey the depth and gravity of those times. I liked Junoon (of Shashi Kapoor/Naseer from early 80s) that depicted a story from 1857. MP just lost its way somewhere in the script. Really hope TOH clicks in a big way. Historicals from bwood are either Hits or total misses. bhai itna bojh mat do…..Dangal taught everyone to become independent and find herown mark. Ask Imran is help is enough. Zaira Wasim has got Secret Superstar, Fatima Sana Shaikh Thugs of Hindustan, Sanya Malhotra has Manmarziyan, the eldest two girls have interned for AKP, what about Suhani Bhatnagar? I” think the TED talk spoke about Humanity. Aamir actually has a lot to learn from SRK because what he is seeing now in his stardom, SRK has seen it before. Ofcourse every next star will see a bigger success than its predecessor but important thing conveyed in the TED talk is the virtue of Love. Dangal has grossed almost $70 million in China till the end of business on Tuesday. The second weekend was almost three times higher than the first weekend and the second week could do around $50 million compared to the $27.2 million in the first week. It is sure to cross $100 million and remains to be seen how much further it goes above the $100 million mark. The film has seen 16.1 million footfalls (1.6 crore) in China since release. The China figures of Dangal till date are as follows. Shah Rukh Khan in a recent interaction gave ‘Baahubali 2’s’ example to highlight the advancement and use of technology in Indian cinema. He is soon to quip that technology can take the Indian cinema to greater heights. However, Shah Rukh is yet to see ‘Baahubali 2’, a film that continues to break records worldwide. For the first time ever, Yash Raj Films managed a casting coup of sorts bringing together superstar Aamir Khan as well as iconic megastar Amitabh Bachchan in the same film, Thugs Of Hindostan. Considering their popularity, the film has already been in news since its inception and now we received a glimpse of the two actors prepping for the same. Aamir Khan recently took to social media to announce the final addition to the star cast which was Katrina Kaif. Now, Amitabh Bachchan and the actor were spotted dedicating their time to the script reading session for Thugs Of Hindostan and explaining it to them was the director of the film Vijay Krishna Acharya aka Victor. There is a good reason why so many of the A-list heroines said no to Vijay Krishna Acharya’s Thugs Of Hindustan. The heroine’s role as per the original script was nothing to write home about. Then Aditya Chopra personally requested Katrina Kaif to step in. “She met Adi in director Vijay Krishna Acharya’s presence and good-naturedly complained that Adi and Victor (Acharya) had not given her much to do the last time they signed her opposite Aamir Khan in Dhoom 3. Adi assured her the role would be mended,” says the source. Apparently it was director Vijay Krishna Acharya’s idea to approach Katrina after any number of actresses turned down the part. “The heroine’s role was sketchy to begin with. It has now been fleshed out for Katrina’s sake,” says an informed source. LOL they fleshed out a role for Katrina of all actresses. And she demanded more screen time. It will be chasing BB2’s 500 cr nett, so more the ghee the better. yeah – heard that they are going to hire the best of Hollywood technicians….and now China proving to the Ace-card for Aamir – this one is already sitting on a gold-mine of 1000 cr+ …..so bigger the better…. But you’ll learn more about SS and MNS watching Sarkar 3 rather than going to office! Meanwhile Dangal doing daily minimum 4M in china still…. Would like to see Dangal doing 700-800 cr in China, but it may not be that easy. It is 70M$ till now and will probably get to 100M$ by 3rd weekend. But after that we will have to see how it trends, as POC will be releasing. Hoping that it does 125 M$ in China, that will take it past 1500 cr WW and perhaps ahead of BB2. I was thinking more about 800 cr (125 M$). Lets see where it ends. TOH won’t connect in China. It’s sounds Hollywood and no social commentary. It’ll be big in India and NRI markets. I’d bet on Secret Superstar doing better. Still i feel TOH cld do min.50M$ in china due to a huge opening may be abt 25M$ first weekend. CTHD had a single market OS of 100M(128M$ in US) not combined OS as there are 2-3 Asian movies with combined OS of 100M$.Infact no non-hollywood movie apart from CTHD has done 100M in a single foreign market.Dangal wld be second non hollywood movie to do that and has a shot even at CTHD record of 128M$. Today is a historic day for Indian box office. – Crosses 900 cr All India Nett. – Hindi version crosses 450 cr Nett. – Crosses 100M$ Gross in overseas territories. – 450 cr Gross from China alone. Some of the above landmarks were achieved yesterday and some of it will be achieved today. I still think BB2 is a better achievement since Dangal numbers right now are mostly due to china, take away china numbers and it’s half of BB2. BB2 won’t do much if any in china since they have many films like that including Hollywood ones. 4.2M$ for today.74.3M$ total in 13 days.Fantastic no. of shows are being alloted for friday.It cld do between 22-25M in 3rd weekend and 10-12M more in weekdays.3rd week cld be between 32-37M$.In 4th week there r holidays between 28-30 may which cld boost up collns in 4th week as well. There is good news and bad news for producer Boney Kapoor. First the bad news. Salman Khan is not doing Boney’s comedy No Entry Mein Entry, the sequel to the 2005 hit directed by Anees Bazmee. For a very long time Salman has been see-sawing between yes and no regarding this long-delayed project which was to also feature Anil Kapoor and Fardeen Khan (remember him?) from the original film. Looks like Anees and Boney have been living on false hope. Salman clearly told a friend that he is not doing No Entry Mein Entry. So that is that. But Boney can cheer up double-quick after the loss. Salman Khan is “most definitely doing” the sequel to Wanted. The project was stuck in a legal imbroglio with a party claiming copyright infringement. But the courts have now ruled in Boney’s favour. And matters are proceeding with supreme celerity as far as Wanted 2 is concerned. In fact Salman and Prabhu Dheva recently met and threshed out a basic plot point. What you definitely won’t find in Wanted 2: Ayesha Takia. [ Yin Hong, a professor from the Tsinghua University and a film critic, told the Beijing Evening News that Dangal puts Chinese movies “to shame”. He said it had “taught Chinese cinema a lesson”. “We have so many champions in China but we have failed to make a decent sports movie. This is a case worthy of reflection,” he said. Clicked your link and saw this in the article. The point discussed during Dangal’s release on this forum. Although some took away an anti-feminist message from the film. “I think this is a rather male chauvinistic film. Basically, the dad forced his dream on his two daughters. He didn’t teach them to wrestle so that they could avoid being child brides. He taught them to wrestle so he could realise his dream. The girls never had a chance to choose,” said one Weibo user. Thanks. Amongst many points discussed, you chose this one out of like a gazillion articles as to why it’s working in China? Anyway you are right and so is the point but there are lots of reasons that the film is working. For any film successful film they’ll be a small rebel tribe not liking it for particular reasons. I think I said at the time it’s a bit like the Williams sisters’ story. They have not walked away till today. When I pick a hotel to stay in my wife will read every review and come up with many reasons not to stay there. Some valid and some outrageous. I understand that as sometimes specific things frustrate people that don’t otherwise. But I tend to go on gut and law of averages, if 4/5 it’s fine. I can live without the perfection or rather annoyance of reading every review. I can list a few reasons not to watch Bahubali 2. But overall I achieve nothing, the general consensus would dislodge my contrarian view. I myself had an adverse and wow view on ADHM but for quite specific reasons. I’m not going to read each review of the film and pick out that point to make a point, especially if that view is in minority. If I plot talent with number of people, the distribution will most likely follow classical bell curve. It suggests more people need to work hard than believe in their innate talent. At young age no-one wants to work hard; everyone wants to be in unguided play ground. Most kids don’t know their capabilities; Parents concern is that kids should grow up to be self sustainable. If kids know what they are capable then they can go ahead and realize their dream. But unfortunately most kids don’t. It doesn’t matter you do X or Y. Dhoni wanted to be footballer but a coach recognized that he could be a cricketer. I think both are examples of extreme cases. And extreme examples work for cinema. People don’t pay to watch reality. 3 Idiots is the utopian world where everyone is allowed a choice or path. Success or failure is not judged. But here the extremity is everyone is successful in their own sense of what successful is. Dangal you don’t have a choice, yet in the end you are a success. Failure is judged. The extremity is no choice. In reality the bell curve is not an inventor or world class wrestler. It is a shop keeper, teacher, IT consultant, cleaner or doctor. All are successful if their expectations were for that. I think what dangal showed that even if the choice was not yours (or you talent is somewhere in middle of distribution), if you work hard with some luck , you may end up in outlier in terms of achievement. There are many examples of this sort. Ask any outliers if there first choice in life was where they are I bet you’d get a small %. Except Bollywood stars LOL! Nepotism excluded! Master few days ago you mentioned one child policy to contextualise Dangal’s success there. Now seems like a tweet amongst many others is being promoted to contextualise your opinion on the film. Are you just not happy with anything Dangal? Can you give me what you are smoking?? You said nothing of the sort. Someone else. Sarkar 3 has come and gone and is a box office disaster but that is no surprise as its the norm for the director Ram Gopal Verma. This director is the biggest flop director in the history of Hindi cinema and its probably not even arguable. For a director to have 23 flops is more of a miracle than the collections of Bahubali 2 – The Conclusion as normally a director is out after 4-5 flop films and thats if the industry believes there is some potential. It could be out after one or two films. But obviously here there have been many proposal films as no real producer would give a chance to a director with such a disastrous track record. It will be the same if another film is made as till date no film of this director has really worked outside Mumbai and South which means even after so long he still has no idea how to make content for the core Hindi markets. The details of the horrendous flop record is below and the flops are in bold. RGV’s so called last ‘Hit’ film Phoonk was based on its cost, I remember it didn’t even touch double digits nett collections something around 8-9 crores. This is a poor post by BOI. I’m not RGV’s biggest fan but the fact remains he keeps getting opportunity for films, maybe people are stupid. But alone looking down that list of films I’ve only seen like Rangeela, Satya, Company and Sarkar he doesn’t do big budgets and that market of dark horror, dark underworld, ghost films originated from him. He had a market he lost it. Simple as. But he has some important films in his career. oh sorry for duplicate comments – pl remove one…. Financial matter apart .. Ramu is better than Johar and Chopra any day .. at least he experiments always, and also I always felt much more to desire from his movies .. still I enjoy his half baked movies more than full crap fests of Johar and chopra. The list is 31 movies and 23 are numbered which are flops. RGV is one of my fav directors but this is a joke.. RGV makes 3 films – gangsters, horror and once in a while musical. 31 are only Hindi..There are 27 Telgu movies as well and out of which 21 are historical disasters. What BOI is saying is 100 percent right. This is the problem with these Bachchan fans..They always try to project BOI as a fake/ illogical site to cover Bachchan’s disasterous performance. advance.Unparalleled trending.Shows wld increase much more for saturday and sunday.8K more shows compared to last friday. 750 CR anything more depending on other factors. Today it will fall under $4MM first time in a week. I’ll be surprised if more than $125MM. Trends are good but weekdays show that the abnormal first week trends are no more. I doubt this will behave like Taiwan market. A good indication will be Friday to Sunday now. If it’s $18MM range it’s impossible for more than $125MM. Either way China alone looks like half the total WW collections. Extraordinary or another worrying sign for Hindi cinema. Meanwhile Bahubali 2 is just relentless in India, it’s first test tomorrow is Half Girlfriend. It’s finishing at 460 CR in W3. 500 CR is likely for sure. It would have to fall by 60% each week NOT to reach 500 CR, unlikely as weekends will be huge still. It surely won’t be caught WW, it’s close as daily Dangal is landing a Chinese squeeze. I think this week’s new releases are not that weak. Hindi medium is getting lots of appreciation and there is Irrfan. Jayshah 3rd weekend is looking close to 25M and u r predicting that for whole week.5.5-6M for sure tommorow.Advance is more than all the 6 new releases and then 18-19M is expected from sun+sat. I literally am ecstatic to be proved wrong! Aamir Khan on china’s national newspaper.They r saying not everyone can be Aamir hailing him as India’s national treasure actor. ‘Your name’ japanese movie is the highest non-hollywood foreign grosser in china with 81.3M.Dangal wld cross that tommorow. 1270cr WW till today for dangal.might cross 1500cr by next thursday. What a quiz question in future. If Dangal gets 1500 CR before Bahubali 2. Simultaneous releases one in India and global, one in China – one got to 1000 the other came back to get to 1500 within a few days. Everything else is half at least. Who will get to where first who knows, history in next 7 days. A daily fight from Monday. What’s this business that this is Dangal’s​ last chance, is it leaving theatres to make way for Pirates of the Caribbean next Friday? Or is it that collections will dip – that’s obvious. Pic 1-Whn BB2 beats Dangal BOI said ''BB2 Crushes Dangal"
1 2 ka 4, 4 2 ka 1 my name is BOI, my name is BOI, I don’t know anything about the box office. and because I’m upset about Dangal and Baahubali (specially the former) I’ll take it out on RGV..! Two actors began shooting for Umesh Shukla’s screen adaptation of the play 102 Not Out on Wednesday. 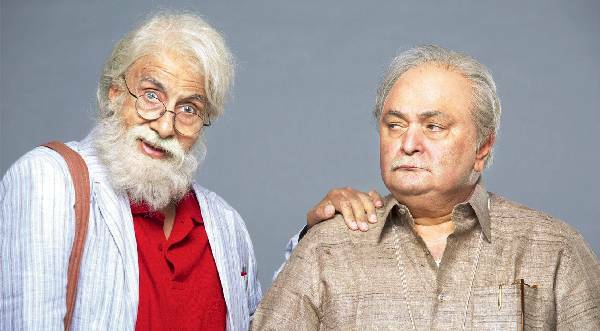 After his 2015 romantic comedy-drama, All Is Well, which had featured Rishi Kapoor, Supriya Pathak, Abhishek Bachchan and Asin, director Umesh Shukla kickstarted his next film,102 Not Out, featuring Amitabh Bachchan as an 102-year-old and Rishi as his 75-year-old son. The film is based on writer-director Saumya Joshi’s successful Gujarati play by the same name. “Amitji and Rishiji are collaborating after 26 years. They are playing Gujarati characters for the first time. Being a Gujarati myself, I had certain references in my mind which we used to create their look,” informs Umesh, who began shooting on Wednesday with Bachchan’s introductory sequence. 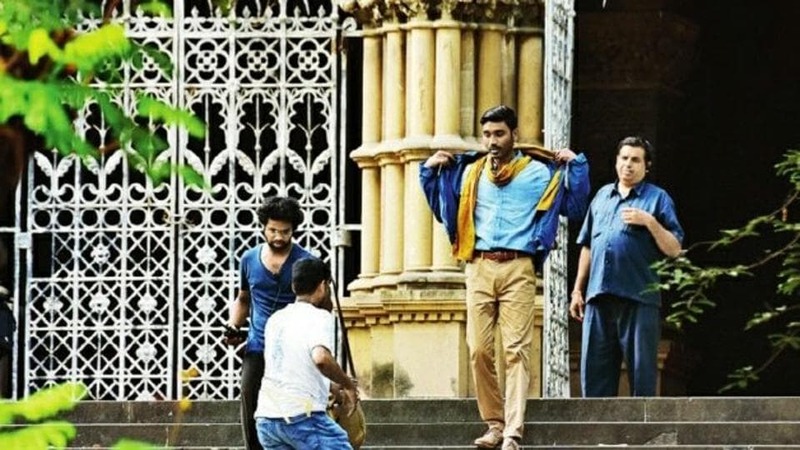 They will be shooting all over Mumbai till this month end, then resume in July and are aiming to wrap it up by July-end. The film is a love story between a father and a son. “I had produced the original play and knew it could be turned into a film for its unique plot and humour. Saumya has written the film brilliantly,” says Umesh, adding that the actors consciously haven’t seen the original play. If this was made after OMG, it would have been great project to look forward to but after that disastrous All is Well, this looks a rather cold albeit interesting project!